Made with a sturdy silver shank, a round gemstone donut and beads. Knotted with nylon thread. 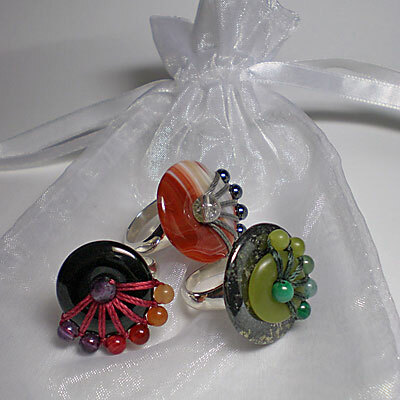 Some rings in this series have all the same beads on the edge, others have beads with a color shifts and other have a double platform. shown on left - 22 mm dia. shown in center - 25 mm dia.